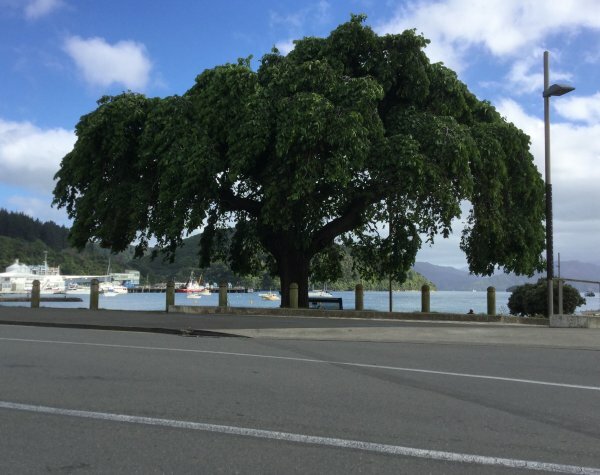 An excellent specimen prominently situated on the Picton foreshore (Cadwallader, B. 2017). The canopy currently showing the effects of acid herbicide use on lawn. 19 Nov 2017 Cadwallader, B.G. At the eastern end of the reserve near the road.